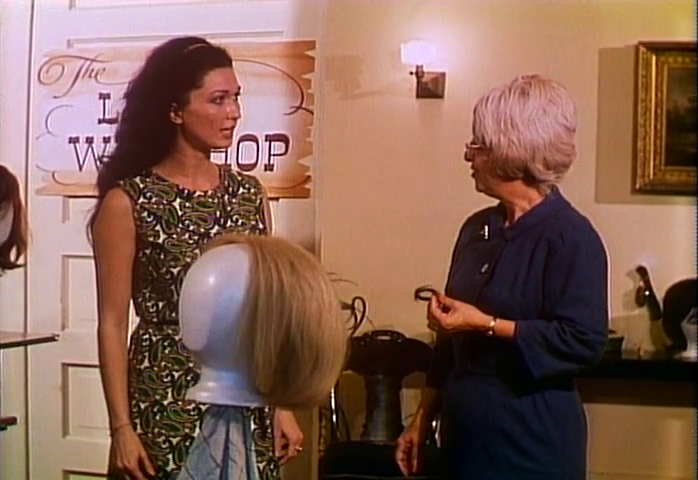 A curious co-ed (Gretchen Wells) investigates a case involving a demented older woman (Elizabeth Davis) with a stuffed pet cougar who enlists the help of her mentally retarded grown son (Chris Martell) in scalping beautiful young women to turn their hair into wigs. 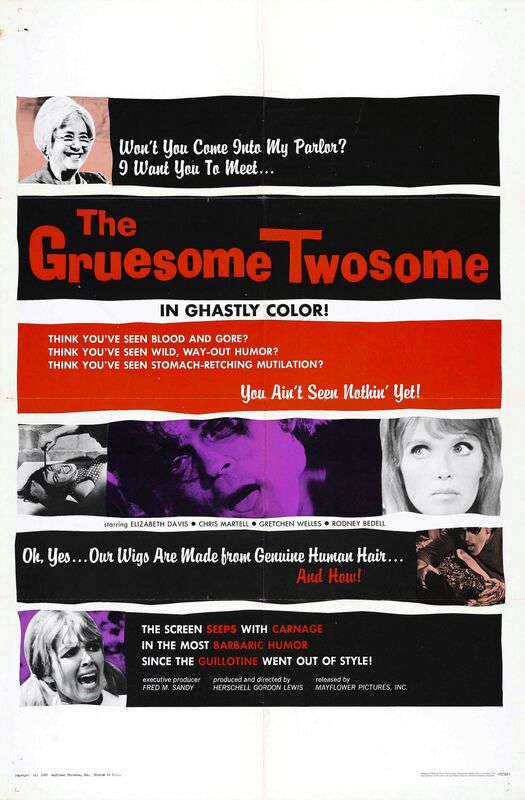 The ineptitude of this Z-grade exploitation film by goremeister Herschell Gordon Lewis is as profound as one would expect: terrible acting, tediously gratuitous splatter sequences, and the inexplicable inclusion of snippets from an even MORE inept drive-in movie involving attempted romance over burnt potato chips and beer. 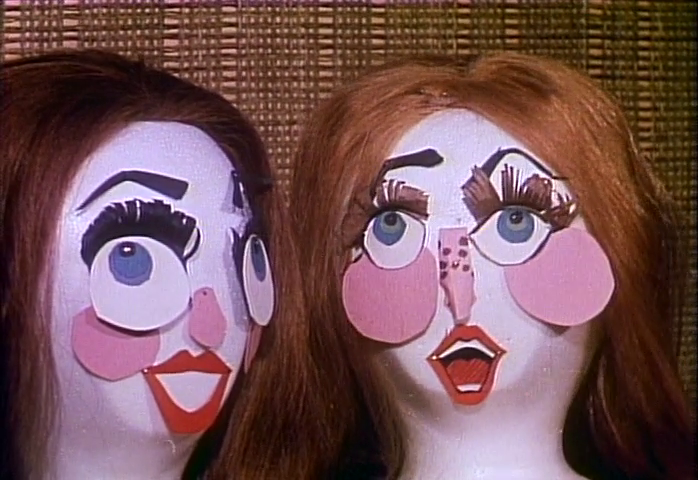 The opening “flashback” sequence of talking wigs on styrofoam heads — apparently added to pad the running time — is just surreal enough to hold one’s strained attention, in a slack-jawed fashion. 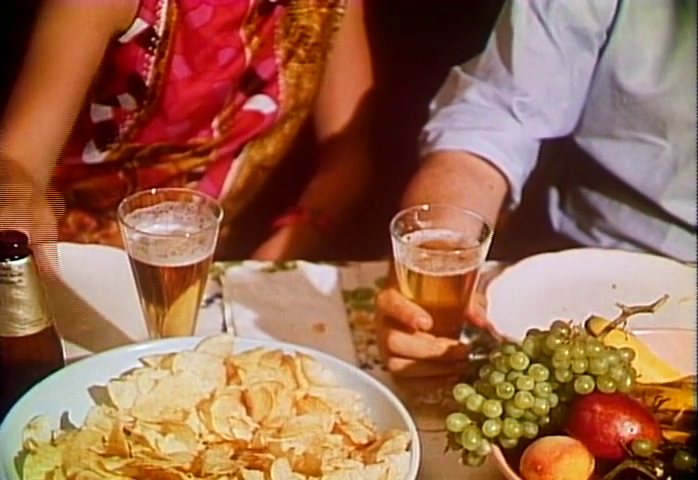 Sadly, Peary lists no less than six films by Lewis in his GFTFF, when viewing one or possibly two — Blood Feast (1963) and/or 2000 Maniacs (1964) — would be more than enough for even the most curious and inclusive film fanatic. Most definitely not. If this kind of thing appeals to you, you know who you are. This was an inept suckfest, no argument.